In our laboratories we continue research on innovative cosmetic formulas, and we test the safety and efficiency of our products. New beauty care product lines are inspired by the latest achievements in modern cosmetology. 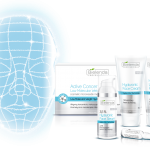 Our cosmetics are tested by highly professional experts in dermatology. We respect animal rights and for that reason our cosmetics are not tested on animals. What is more, we expect the same attitude from our business partners and suppliers.